Look what else we can do!  Hi, I'm Shellie Kappelman, a professional photographer from the Manitowoc and Door County area of Wisconsin. I have been awarded the designation of Master Photographer and Certified Professional Photographer by the Professional Photographers of America. I have also received awards from the Wisconsin Professional Photographers Association and the Professional Photographers of America International Print Competition. I have recently served as President of the Wisconsin Professional Photographers Association. I enjoy photographing people and through years of experience and education, I know how to make you look like the very best version of you!